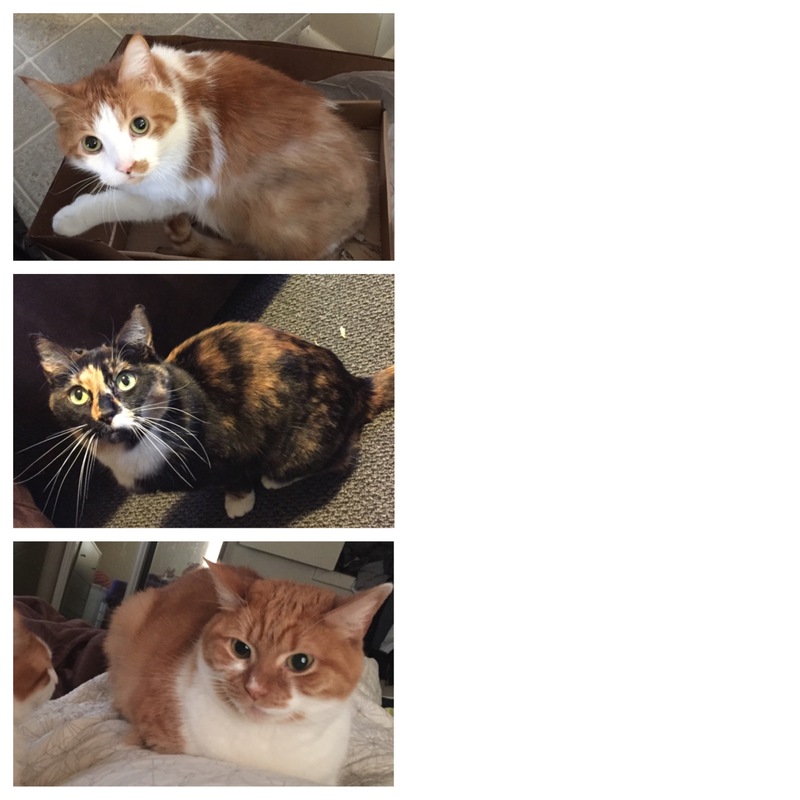 I was gifted, once again, by my friends at Influenster.com – but this time it was a product for my cats! I have 3 kitties who I loooove. I only ever had dogs growing up, and never really liked cats until I got to college and my roommate adopted about 12 over the course of 1 year. She was a crazy cat lady in the making, and sorta rubbed off on me. I still want a dog really badly, but for now I just pour all my love onto these little cuties. 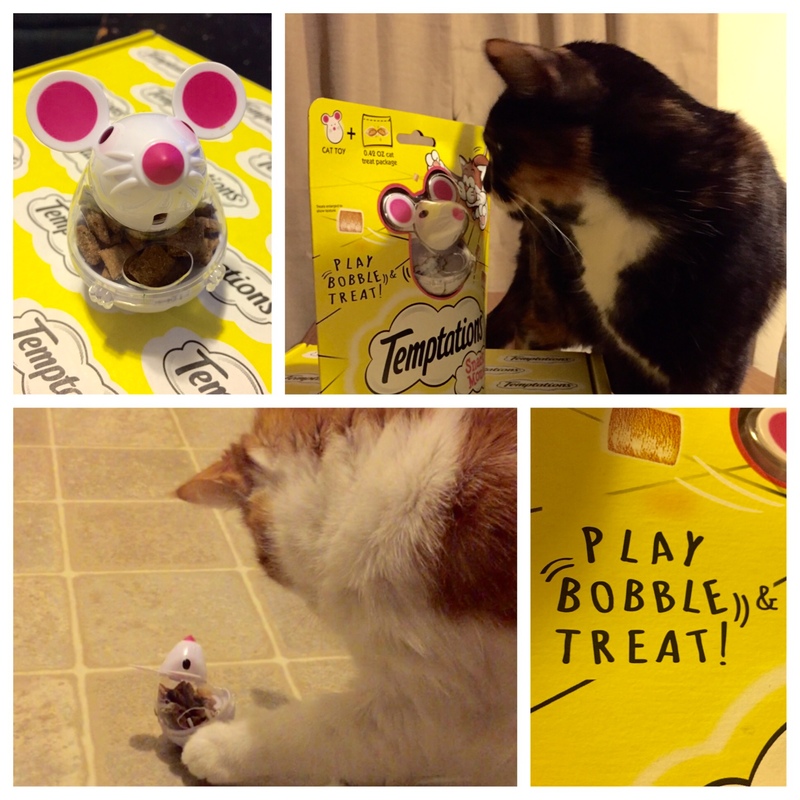 The day the Temptations VoxBox arrived, the cats were very excited to find out what they were getting. Lucy was all up in my business when I was trying to take photos of it. I filled the toy up right away so they could test it out! I think the little toy is so cute! 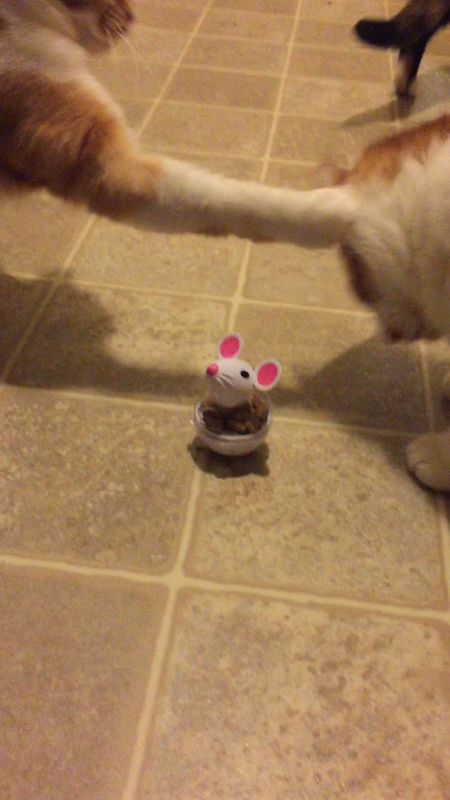 As the cats bat the mouse around, little treats fall out! 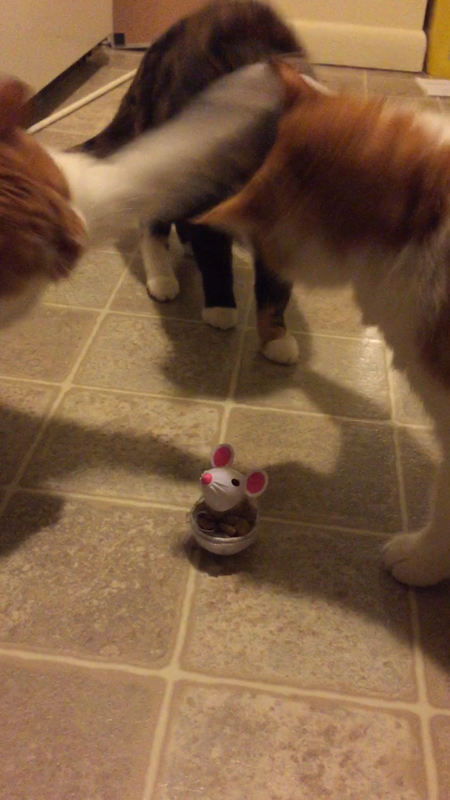 Even though Lucy is my most playful cat, Owen (the hungry one) was most interested in the toy treats. Owen checkin out the treat toy! 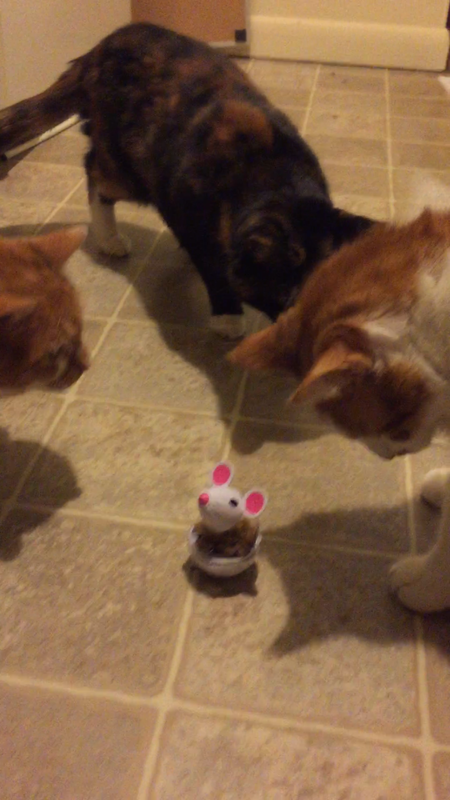 At one point, all 3 cats were interested in the toy which then erupted into a battle of bopping each other on the head to see who would get it. Owen won. He loved tapping the mouse around with his nose to see where the next treat would fall out. I fed Lucy and Meadow the treats too, since Owen was hogging the toy. I was happy to find out that although the treats are hard on the outside, they are soft on the inside. 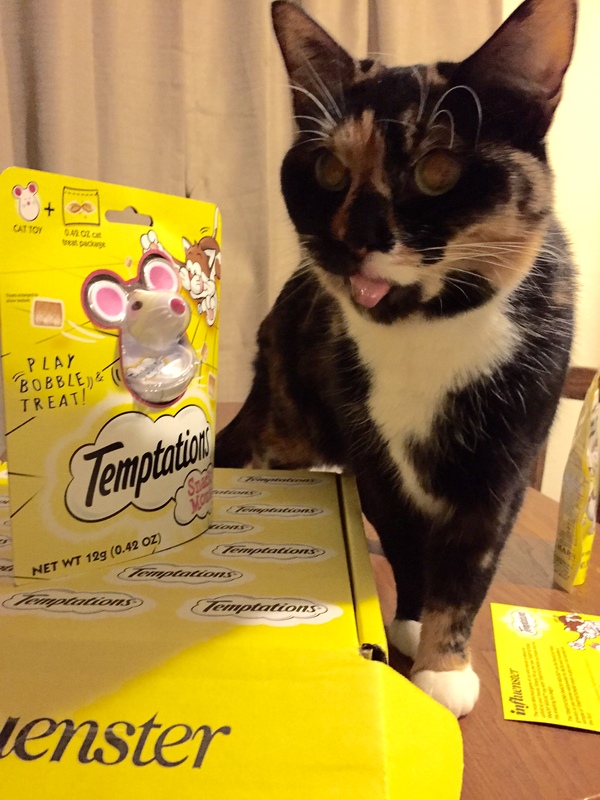 Lucy had to have most of her teeth removed about a year ago, but was still able to eat the treats! The treats also help reduce tartar on the cats teeth! This is definitely a win. I really like this toy for my cats! It’s not something they’ve had before, like a fuzzy mouse that can be ripped to shreds. It’s hard, durable, and gives them little treats for playing. Hooray for positive reinforcement! 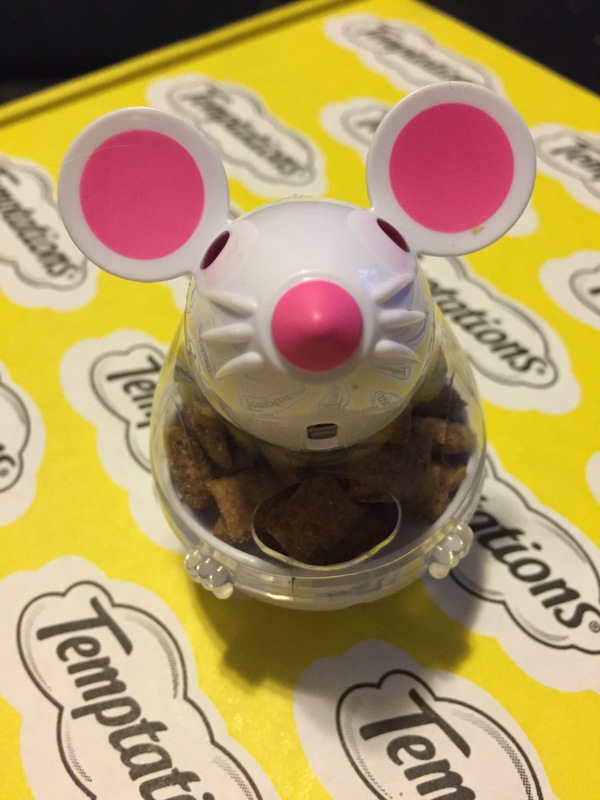 Overall: great new toy for my cats! 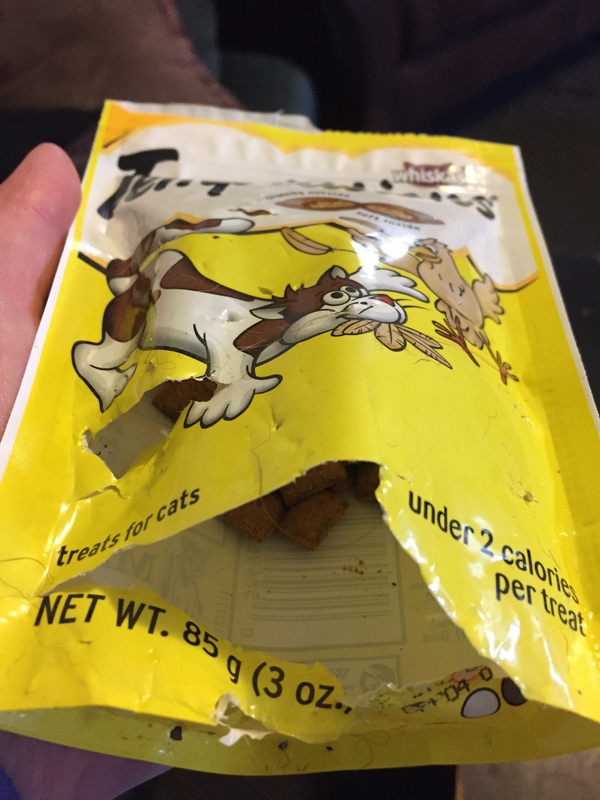 Follow Up: The cats were so excited about their new products, I came home one day to find they had broken into the treat bag! 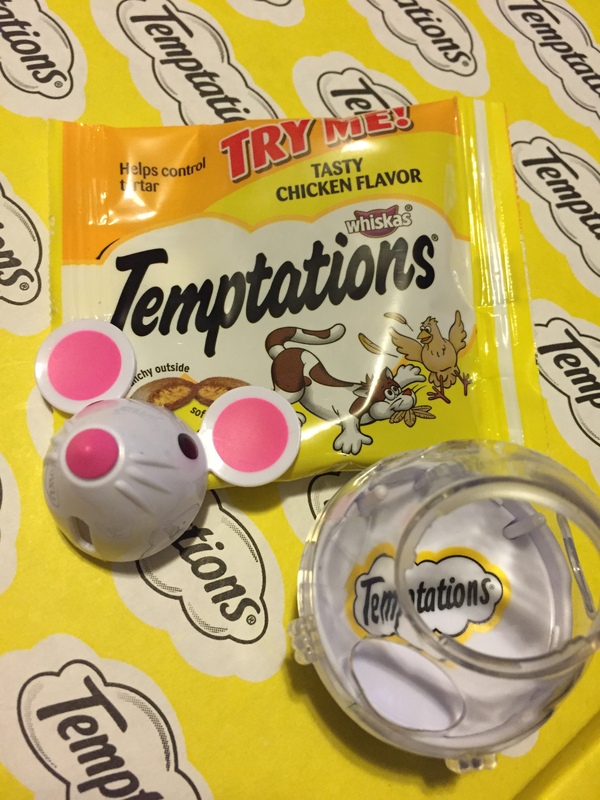 Thanks to Influenster and Temptations for letting us test this! Looks like a lot of fun for your cats! Pretty cute there. I haven’t had cats since I was a kid – been all dogs since, but it looks like yours are having fun! Thanks! They are more fun than I ever expected them to be!